When I first heard those lyrics, I remember temporarily freezing at my computer with mind going “woah, okay then?” My mind was further blown after hearing the rest of the chorus: “The price of your greed/Is your son and your daughter/What you gon’ do/When there’s blood in the water.” At that point, I was hooked, and I wanted to find out more about this artist who spoke the angry feelings I felt but would never openly express to anyone other than myself. I researched Grandson (stylized as “grandson”) online and discovered that he was raised in Toronto, Canada, his full name is Jordan Edward Benjamin and he dropped out of college in 2014 to pursue his music career in Los Angeles. 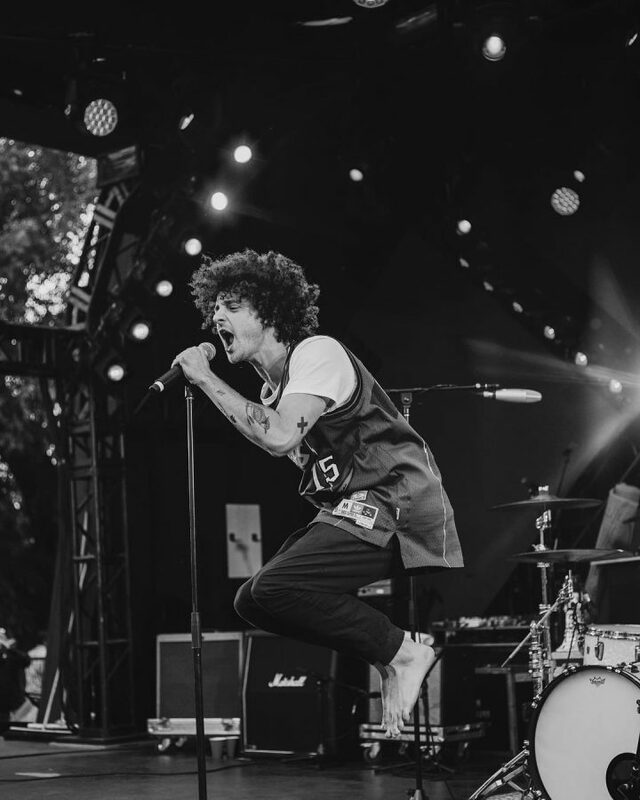 Two years later, Grandson released his first single “Bills.” The following year, he signed with RCA Records, releasing four more songs, one of which was a cover of Bob Marley’s song “War.” Grandson then signed with Fueled by Ramen in March of this year. In summary, Grandson is angry, and he wants the world to know. Be it politically or socially, he refuses to stay silent on these matters that not only are personal to him but to many of us as well. He offers a new blend of music and style of rock that I have yet to find in other musicians or bands. Grandson is definitely worth checking out if you are looking for a new artist to listen to or if you need some politically-charged music in your life.